This tasty recipe is submitted by Laura Laiben, founder and owner, of the Culinary Center of Kansas City in downtown Overland Park. Cut the pineapple in half, top to bottom. Scoop out the fruit. Cut away the core and dice into ½-inch cubes. Divide fruit in half and put fruit and the rum into each half of the pineapple. Top with brown sugar and wrap in heavy-duty aluminum foil. Bake on the grill over indirect (low) heat for 1 hour. Remove foil. Serve warm. This recipe is so fast and easy to prepare, leaving more time with friends. And if the weather turns rainy, they work great under the broiler. Place the meat in a bowl and add the cheese. Peel the onion and halve it, if using the medium onion. 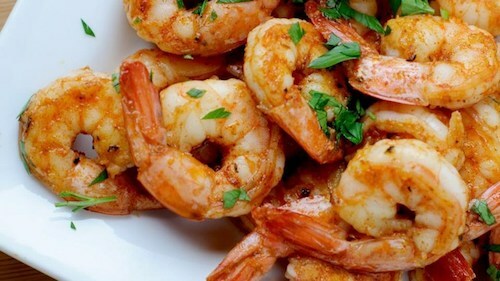 Grate about 3 to 4 tablespoons of onion directly over the meat into the bowl. Finely chop the remaining onion and reserve for topping. Add spices to meat: paprika, cumin and about 1 tablespoon of grill seasoning and/or some salt and pepper. Add garlic, parsley and Worcestershire and beer then form 4 large patties making them a little thinner at the center than at edges. 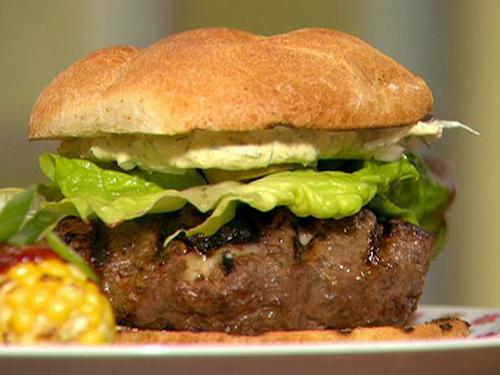 Burgers plump when you cook them so this will prevent burger bulge. Drizzle a little olive oil over the burgers then grill about 4 minutes on each side for medium rare, 5 minutes on each side for medium and 6 to 7 minutes on each side for well done. 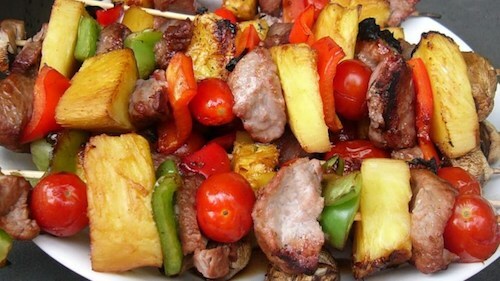 sirloin steak chunks are skewered with vegetables and grilled. Now you can have your cake and drink it too! Team member Mitzi Monson took the classic Jell-O “Poke Cake” and created an adult version. 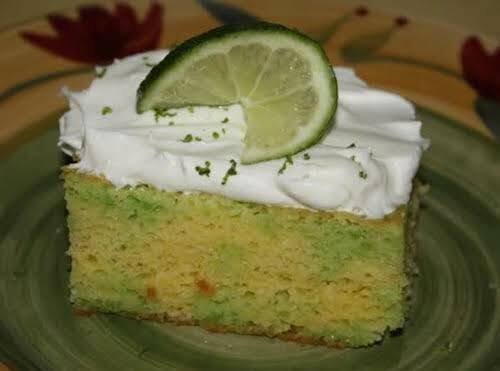 The combination of the lime Jell-O with the Grand Marnier and Tequila complement each other to really bring out a true margarita flavor. Because the cake is refrigerated, it is moist and refreshing. It truly reminds you of your favorite margarita. (Cooking Spray) 13X9X2 baking pan. Bake at 350 degree oven for 30-35 minutes and the cake is done. Let cake cool completely, about two hours. water, then add in the Grand Mariner and Tequila; mix well. lime zest and lime garnish.